Looking for staff who love horses and love teaching. This job is an amazing opportunity for college students who are on summer break. Come live in Maine for the summer, be a role model to some awesome girls, and teach riding lessons on some awesome horses and ponies. 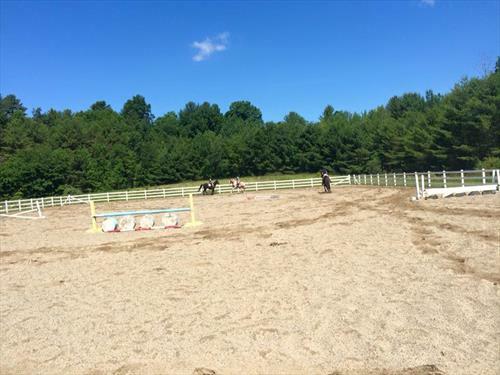 Hunter Equitation focus with lessons maximum of 3-4 students. 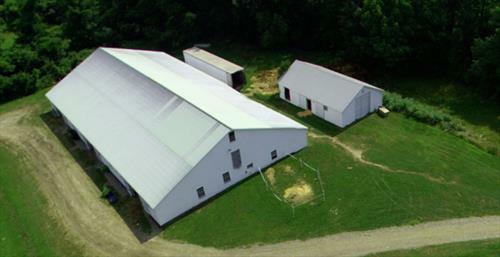 Large barn with 34 horses of all ages, breeds & levels of training! Also, get those internship hours!!! You will live in a bunk with 8-12 campers and 2 staff members from other program areas of camp. Bunks have electricity and bathrooms with showers in the bunk. 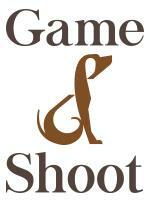 Practice your teaching skills and get lots of feed back/opportunities to better your instructor skills. Management skills as well as care and nutrition skills will be put to "real life" use. This is a great opportunity for college freshmen or sophomores to build their skill set over a few years or for a junior or senior to practice your craft so you become a valuable asset to a lesson training barn right out of college. Our program also focuses on the safety practices of the Certified Horsemanship Association.